Lenox Disney's Frozen Porcelain Ornament Only $17.29 + FREE Prime Shipping (Reg. $40)! You are here: Home / Great Deals / Amazon Deals / Lenox Disney’s Frozen Porcelain Ornament Only $17.29 + FREE Prime Shipping (Reg. $40)! 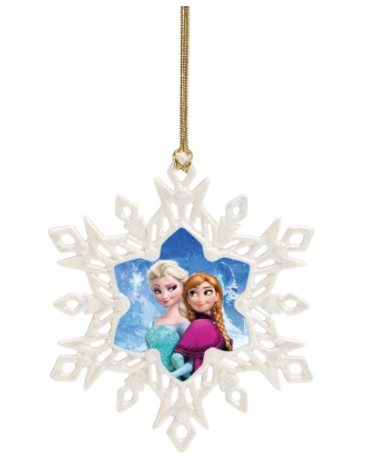 Lenox Disney’s Frozen Porcelain Ornament Only $17.29 + FREE Prime Shipping (Reg. $40)! Disney’s Frozen Christmas ornaments are flying off the shelves this year, but I just found an amazing deal on this Lenox one! We can grab this gorgeous Lenox Frozen Porcelain Ornament for only $17.29 (Reg. $40) right now!! This would make a wonderful keepsake ornament, too!